Nine Palestinian students were killed by Israeli gunfire, while 603 students, and 55 teachers and school employees sustained live or rubber bullet wounds in 2017, official sources revealed. Meanwhile, at least 80,279 students and 4,929 teachers and school employees were subjected to attacks during Israeli raids into schools or by being run over by Israeli military jeeps. The report said 12 students and three teachers were subjected to house arrest from across the West Bank districts in 2017. 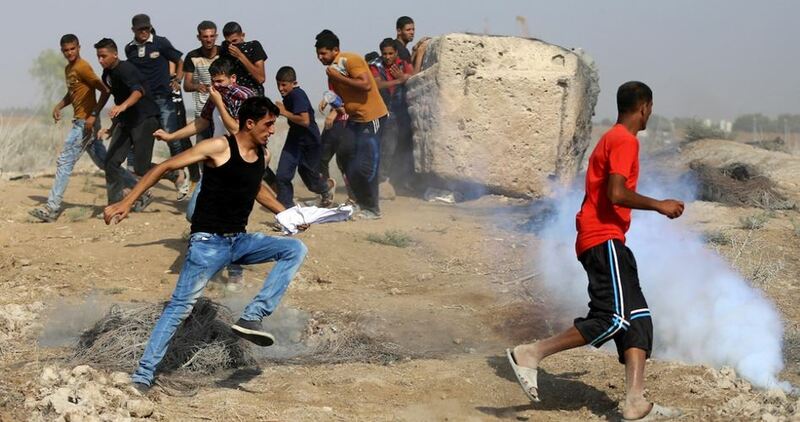 According to the sources, 95 schools were a target of Israeli attacks, which are estimated to be 352 attacks in total. The attacks included breaking into schools and inflicting financial damages, the firing of live and rubber bullets, stun grenades, and gas bombs and the partial or total disruption of school days. Palestinian detainees locked up in the Israeli Etzion jail, in the southern occupied West Bank, have received expired foodstuff, a rights group warned on Tuesday. 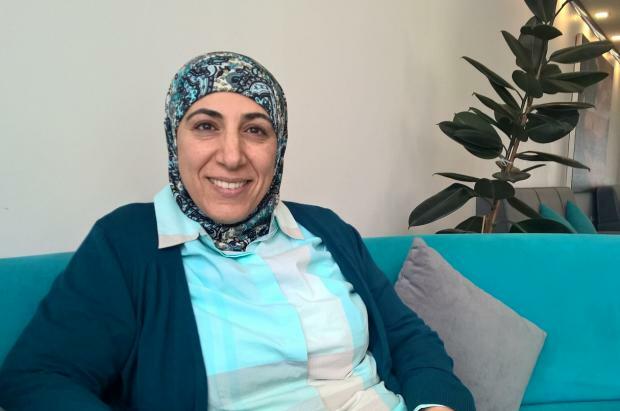 Lawyer Jacqueline Fararja, from the Palestinian Prisoners’ Society (PPS), said following a visit to the detainees on Monday evening that the Israeli prison authorities handed over expired canned food and cheese. The lawyer said she inspected some of the expired cans which the majority of inmates were forced to eat as a result of hunger and food dearth. 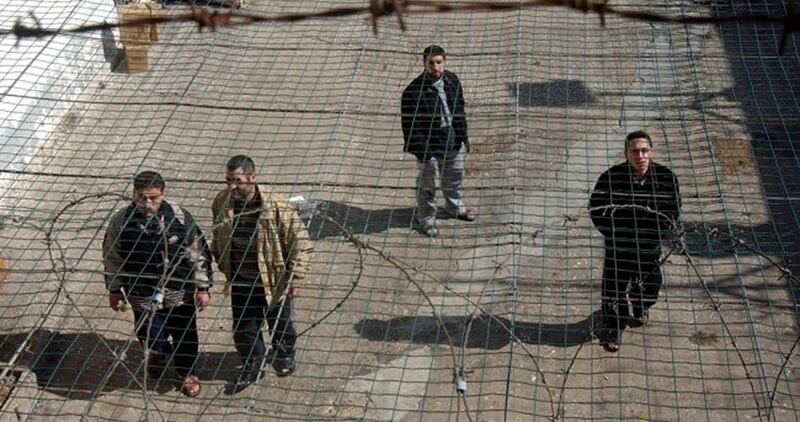 12 Palestinians are held in Etzion prison, among 6,500 Palestinians incarcerated in Israeli dungeons. Over 15,000 Palestinian women have been detained by Israeli occupation forces (IOF) since 1967, Head of Detainees and Ex-detainees Committee Issa Qaraqe said on Tuesday. In a speech he delivered at an honoring ceremony for the female employees of the Committee and Palestinian Prisoner Society on the International Women’s Day, Qaraqe said that 62 Palestinian women are still languishing in Israeli jails. 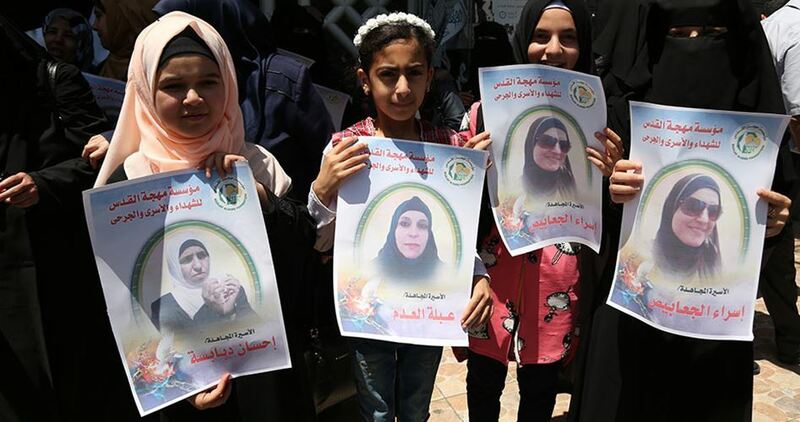 The number includes 8 wounded women, 10 girls, 20 married, and 3 others held under the illegal administrative detention for no charges or trials, Qaraqe pointed out. 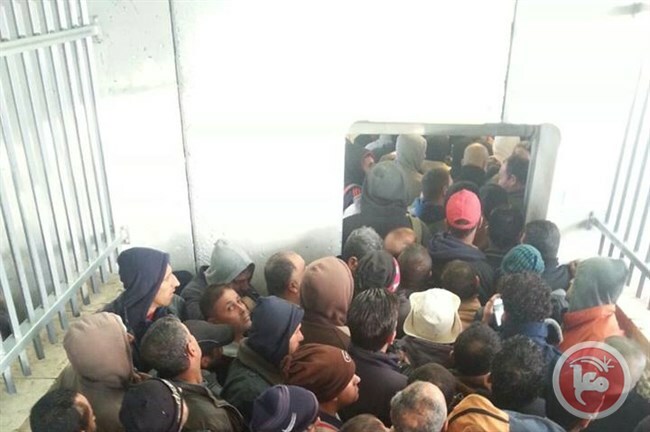 BETHLEHEM (Ma’an) — A Palestinian man suffocated on Monday morning before dawn while waiting in the narrow corridor of Checkpoint 300 in the southern occupied West Bank city of Bethlehem, where hundreds of workers were waiting to pass through on their way to work inside Israel. Video footage of the incident shows the crowd of workers passing the man’s body over their heads towards the exit, where he was taken to hospital for treatment. The identity of the man remained unknown. In the early hours of the morning, typically before dawn, hundreds of Palestinians endure long waits at the 300 checkpoint, one of the only access points Palestinians from the southern West Bank have to Jerusalem and Israel. Palestinians crowd into the cement- and metal-barred walkways, push through turnstiles, pass a metal detector, and show their IDs and permits to Israeli soldiers in order to travel to Israel for work . The process can at times take hours and cold winter temperatures coupled with hours of waiting time means frustrations are high.Checkpoint 300 was built in 2005 two kilometers inside of the green line, despite rulings by the International Court of Justice that the separation wall was deemed illegal in 2004. Israel maintains severe restrictions on Palestinians’ freedom of movement through a complex combination of fixed checkpoints, flying checkpoints, roads forbidden to Palestinians but open exclusively to Jewish settlers, and various other physical obstructions.At any given time there are about 100 permanent Israeli checkpoints in the West Bank, while surprise flying checkpoints often number into the hundreds. Israeli soldiers abducted, Tuesday, four Palestinians, including two siblings, in addition to damaging the contents of a shop and illegally confiscating cash, in the southern West Bank governorate of Hebron. Media sources in Hebron said the soldiers invaded the al-Mooreq village, southwest of Hebron, searched many homes and abducted Mo’tasem Ramadan Awawda, and his brother Mahmoud. They added that the soldiers also abducted Mohammad Nidal Jaber, from Hebron city, after assaulting him while he was heading to his work. The soldiers also abducted Khaled Salahuddin Abu Za’rour, after invading his pluming store and ransacking it, in addition to illegally confiscating 4000 Shekels. In relayed news, the soldiers invaded many neighborhoods in Hebron city, and installed roadblocks on roads leading to the towns of Sa’ir and Halhoul, in addition to the northern and southern roads of Hebron city, before stopping and searching dozens of cars, and interrogated many Palestinians while inspecting their ID cards. 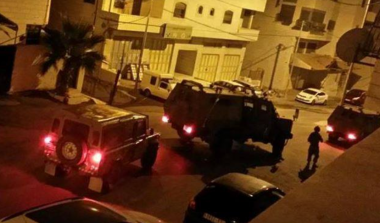 In addition, the soldiers invaded Beit Ummar town, north of Hebron, also searched homes and summoned Ziad Ahmad al-‘Ajouri, 37, and Sami Amer Abu Jouda, 22, for interrogation in Etzion military base and security center, north of Hebron. It is worth mentioning that the two Palestinians are former political prisoners, who were just released from Israeli detention centers two months ago. The soldiers also fired gas bombs at the Big Mosque in Beit Ummar, causing many Palestinians to suffer the effects of teargas inhalation. Israeli soldiers abducted, on Tuesday at dawn, a female university student from the northern West Bank city of Jenin, and a former political prisoner from Sielet al-Harithiyya town, west of Jenin. 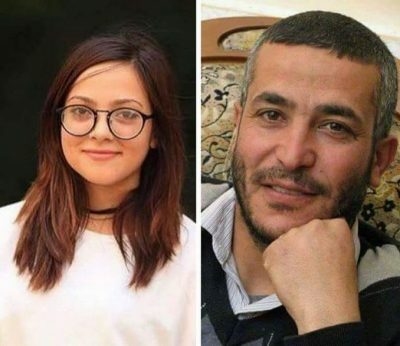 The Jenin office of the Palestinian Prisoners’ Society (PPS) said dozens of soldiers, accompany by K9 units, invaded the home of Fadi Jarrar, after destroying its front door, and abducted his daughter, Fatima, 20, who studies at a university in Jenin. It added that the soldiers detained the entire family for more than two hours, while female officers strip-searched the women in one room, and prevented the family, including the children, from sleeping. The soldiers handcuffed and blindfolded Fatima, before transferring her to an unknown destination. Furthermore, the soldiers invaded Sielet al-Harithiyya town, and abducted a former political prisoner, identified as Ibrahim Kamel Shalabi, 41, after searching and ransacking his home. In related news, the army abducted four Palestinians, including two siblings, in addition to damaging the contents of a shop and illegally confiscating cash, in the southern West Bank governorate of Hebron. Furthermore, the soldiers invaded and searched many homes in Silwan town, in occupied Jerusalem, causing property damage and interrogated many Palestinians. On Monday at night, the soldiers abducted two children from al-‘Isawiya town, in the center of Jerusalem, and took them to an interrogation facility in the city. In February 3,651 new babies were born and 302 people died in the besieged Gaza Strip according to statistics from the Palestinian interior ministry, Quds Press reported yesterday. According to the statistics, 51 per cent of the newborns were males and 49 per cent were females. During the same month the ministry said that it registered 302 deaths, noting that 168 of them were males and 134 were females. Gaza is one of the most densely populated areas in the entire world with more than 2 million residents living in an area of only 365 square kilometres. At least one third of this area is a closed military zone along the eastern borders of the Strip. At the same time Gaza has been under a strict Israeli and internationally-backed siege since mid-2007 and the UN has repeatedly warned that it would be unliveable by 2020 or earlier. The head of the Israeli army’s Southern Command, Major General Eyal Zamir, has said that facilitating the life of Gaza’s residents is conditioned on releasing Israeli soldiers held in the coastal enclave, Quds Press reported on Monday. Zamir’s remarks were reported by the military correspondent of Israeli TV Channel 10, according to Quds Press. A cross-party group of senior British MPs has petitioned the Egyptian government to allow access to the jailed former president Mohamed Morsi, amid reports that his health has seriously deteriorated, says The Guardian. Morsi is being held in isolation in Tora prison and his family have been allowed to visit him only twice since he was imprisoned after a military coup in 2013. Morsi won the presidency in elections brought about by a popular uprising against the 30-year rule of Hosni Mubarak, and had been in office for only a year when he was arrested. He was convicted of a series of offences including endangering national security by leaking documents to Qatar and inciting violence by the Muslim Brotherhood. There have been reports he has been denied access to adequate medical treatment while in jail. The application to visit has been sent to the Egyptian ambassador in the UK and follows a request to British MPs from members of Morsi’s family. The MPs and international lawyers seeking access include the former chair of the foreign affairs select committee Sir Crispin Blunt. Other UK figures seeking to form a detention review panel include Lord Faulks, a former justice minister, and Paul Williams, a Labour member of the health select committee and a former GP. Tim Moloney QC would act as the legal adviser to the group. Blunt said: “There are credible concerns that the conditions under which Dr Morsi is being held might fall significantly short of both international and Egypt’s own standards. We make this request to the Egyptian authorities seeking to see and assess for ourselves the conditions in which Dr Morsi is being detained. Abdullah Morsi, the former president’s 24-year old son, said: “This month, as Egyptians will be asked to vote for their next president, my father – Egypt’s first democratically elected president – remains imprisoned in appalling conditions, in breach of international laws. Morsi’s lawyers and family say he told them in June last year that he had experienced two diabetic comas and was not receiving proper treatment in prison. He asked to be moved to a private hospital at his own expense. The Egyptian authorities insist he is receiving proper treatment. The Egyptian government would need to give MPs visas to travel to Egypt and grant permission to visit him in jail. OCCUPIED WEST BANK – Sometimes, 18-year old Mohammad dreams that he is back in Ofer military prison. “I remember my friends in prison. I feel that I am in there again,” the young Palestinian said softly, looking down as he recalled the eight months he spent imprisoned by Israel between 2016 and 2017. Mohammad, who preferred not to mention his last name for safety reasons, was detained when he was only 16 years old. According to Palestinian prisoners’ rights group Addameer, 330 Palestinian minors were imprisoned by Israel in January. 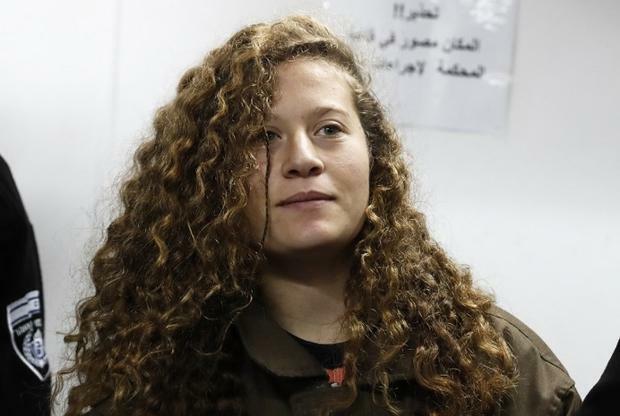 Among them is Ahed Tamimi, the 17-year-old girl whose case has made global headlines since she was detained in December. 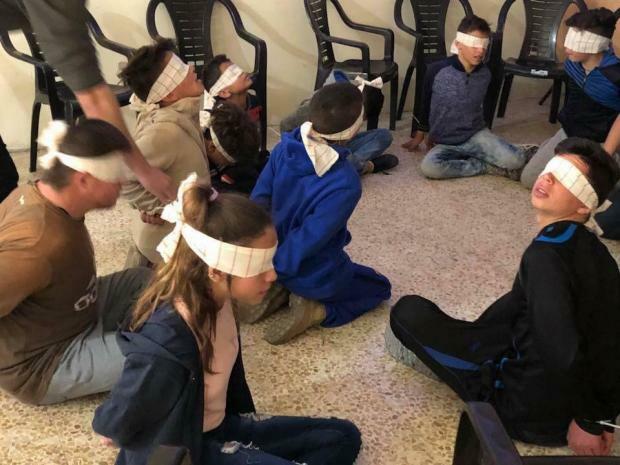 According to Carol Zoughbi-Janineh, administrative supervisor of the East Jerusalem YMCA rehabilitation programme for former child prisoners, the number of Palestinian children detained by Israeli forces has steadily increased since the year 2000. While the overwhelming majority of imprisoned minors are boys, Zoughbi-Janineh said girls have increasingly been detained in the past three years, with more than 60 girls detained in 2017, a sharp rise from one or two each year prior to 2015. Several rights organisations have denounced the incarceration conditions for Palestinian children over the years – pointing to the systematic prosecution in front of military courts, with a nearly 100 percent conviction rate. 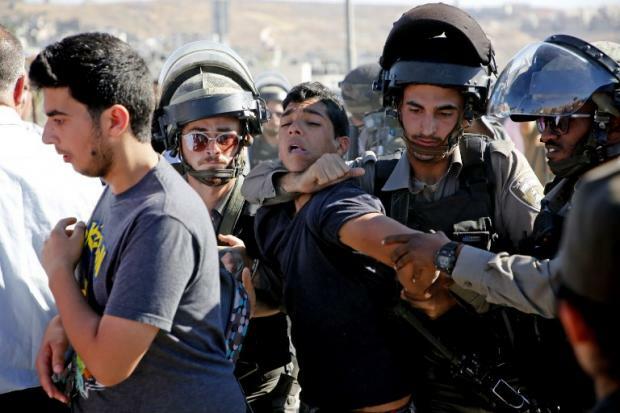 According to Defense for Children International-Palestine (DCIP), three out of four minors are subjected to physical violence during arrest or interrogation. Reports by Human Rights Watch (HRW) and the Israeli rights groups B’Tselem and HaMoked have found that Israeli forces use unnecessary force while detaining children and “routinely” interrogate them without the presence of a parent or lawyer. Several minors reported being slapped, kicked, hit and blindfolded during their arrest or interrogation. According to human rights groups, minors are often made to sign documents written in Hebrew despite not understanding the language. Moreover, children are usually detained alongside adults. The Israeli Prison Service (IPS) did not respond to MEE’s request for comment on the detention conditions and reported violations for Palestinian minors, or on what psychosocial services, if any, were available for child prisoners by the time of publication. Nearly half of Palestinians in the occupied territory are under the age of 18. For Mohammad, Ahed, and many other young Palestinians who have been detained by Israel, the hardship does not stop upon being released from prison. These children must learn how to regain their childhood after such a traumatic experience. Mohammad was detained by Israeli forces in late 2016 along with several of his friends while they were hanging out near a local youth centre. According to Mohammad, he was beaten during his arrest and while in Israeli custody and accused of throwing stones, which is a common charge against Palestinian minors. If convicted, it can lead to up to 20 years in prison, but Mohammad was released eight months later without having been convicted of any wrongdoing. 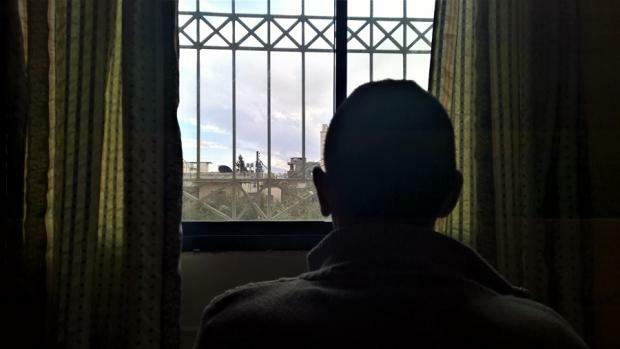 While prisoner releases are big celebrations in the occupied Palestinian territory, in the aftermath former prisoners are often left grappling with difficult thoughts and emotions as life returns to normal – a complex process, which is much more difficult for children. Prisoners held by Israel are hailed as heroes in Palestinian society, a role which can pressure minors not to exhibit signs of weakness. “Sometimes that role puts people in a straitjacket. They cannot express the pain; they cannot seek help; they cannot show their vulnerabilities,” Jabr said. Both Jabr and Zoughbi-Janineh listed a plethora of psychological symptoms experienced by children after being released from prison, including depression, anxiety, troubles focusing, introversion, or aggressive behaviour. “If I am with my friends or my family, I don’t feel sad. But if I am alone at home, I start thinking about prison and everything. I start feeling sad,” Mohammad said, adding that he spends much of his time out with friends in order to avoid being alone with his thoughts. While Jabr said many of the symptoms exhibited by former child prisoners could fall under the umbrella of post-traumatic stress disorder (PTSD), the ongoing trauma caused by the 70-year Israeli occupation made it difficult to approach such issues in the past tense. “I rarely diagnose these children with PTSD. I think what happens is a more subtle destruction of their personality. It’s not just one traumatic event and then people live in peace forever after,” said Jabr, who is author of Derrière les fronts (Behind the Frontlines), which takes a look at the psychological impact of the occupation. The book is expected to come out later this month. From the moment of the arrest – often occuring at home in the middle of the night – child prisoners are scarred by “stunning images of impotence, weakness, and helplessness of parents” unable to protect their children, Jabr said. Zoughbi highlighted an even greater struggle for families in annexed East Jerusalem, where many children are sentenced to house arrest instead of prison. Upon being released, families often struggle to rebuild the bond of trust between parent and child, as children rebel against parental authority. Many children struggle to readjust in school, suffering from psychological troubles and falling behind in classes after having spent long periods of time in prison with minimal access to education. As a result, former child prisoners such as Mohammad often drop out of school. Mohammad quit high school and now works two part-time jobs. Friendships also end up being affected, as ex-detainee children struggle relating to their peers and exhibit signs of isolation. “Before prison I would be extroverted, speak loudly, but now I am more silent,” Mohammad said, adding that he felt a stronger kinship with friends who were in prison with him than those who were never detained “because those outside haven’t been through anything like this”. Because he fears being detained again, Mohammad has stopped going to a local youth centre close to where he was detained and he is always home by 10pm at the latest. A community member told MEE that Israeli forces had raided Mohammad’s hometown and detained the young man and a friend for a few hours, days after the interview. They were released without being informed of why they were held in the first place, confirming Mohammad’s fears. While NGOs like the YMCA provide rehabilitation services to former child prisoners, Zoughbi-Janineh said that the organisation can only take on 400 cases each year at most, highlighting that limited capacities seriously impede outreach to all affected youth in need of support. 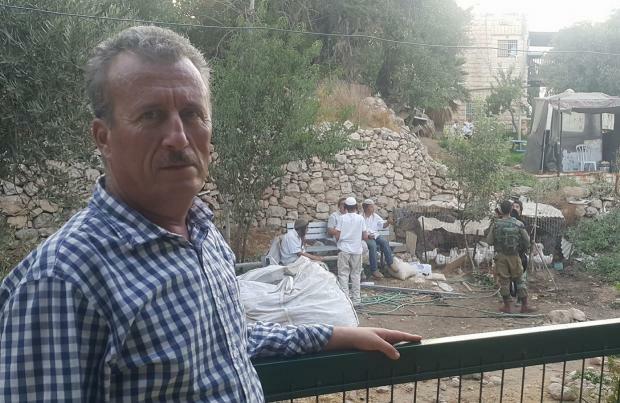 Meanwhile, Bassem Tamimi cautioned that many families, particularly in politically active places such as the West Bank village of Nabi Saleh, distrusted foreign NGOs tasked with providing psychological services. They are wary that such organisations might discourage the children from engaging in resistance activities. Bassem said that residents of Nabi Saleh, where the Tamimi family lives, had devised their own ways of helping children face the threat of detention. He said that he always strives to explain the situation to his children from a young age instead of shielding them. “If I scare my children and keep them to the side, then they will be broken inside, and that is worse for them than if their hand was broken,” he said. On her part, Jabr expressed reservations about such training sessions. “I prefer a more general and less anxiety-provoking approach,” she said. “An approach in which we promote the resilience, the strengths of people, their social skills, assertiveness, relaxation techniques,” she said. Jabr said she worked with school counsellors, teachers, community organisers and coaches to create community networks of adults sensitised to children’s psychosocial needs. It is an approach that she said could bypass the stigma attached to seeking psychological help. For Jabr, the incarceration of children marked a conscious Israeli policy targeting Palestinian youth. Bassem pushed back against perceptions, spread by Israeli officials, that Palestinians care little about their children’s well-being. “Sometimes they accuse us of using our children, of putting them in danger,” Tamimi said. “If anyone gave us a safe place in Palestine, we would put our children there. But she (Ahed) is not in a position that will allow her to live a normal life.